In need of Vitamin Sea! 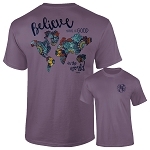 This tee makes us dream of summer. 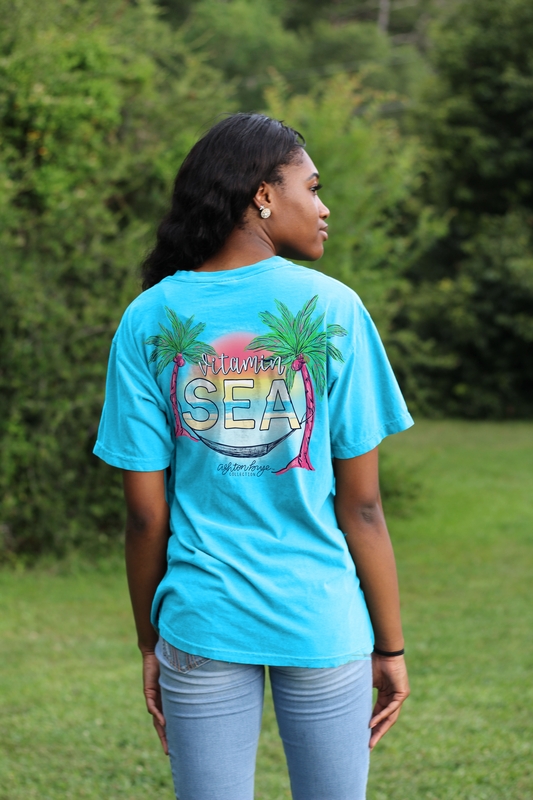 Colorfully designed with the words "Vitamin Sea" on it, this is sure to be your new favorite tee! 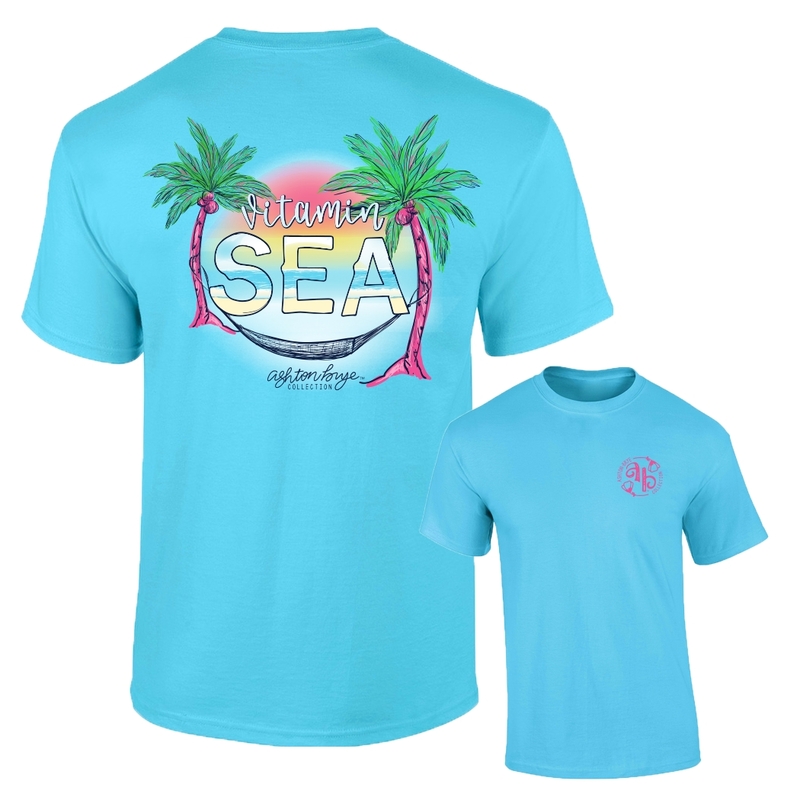 This design is printed on the back with the Ashton Brye logo on the front on a Lagoon Blue Comfort Color.